Make a bold statement with this edgy lime green jacket. Its beautiful ethnic prints and asymmetric design create a striking silhouette without compromising on comfort. This jacket makes you feel and look great everytime you wear it! Available in small, medium, large, extra-large and xxl. 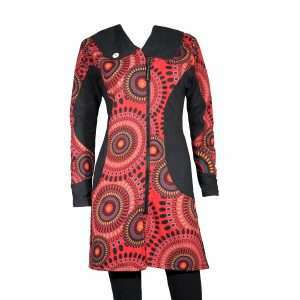 This gorgeous ethnic inspired jacket will definitely cheer you up during those dark winter days. 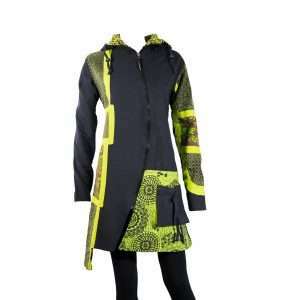 Its colourful ethnic prints will add a splash of colour to your winter wardrobe. A simple yet statement making piece, there is no going wrong with this one on. This jacket is just as great as it looks! Eye-catcher alert! 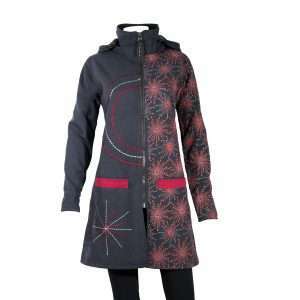 This is a jacket that will make your wardrobe cry for colder days! 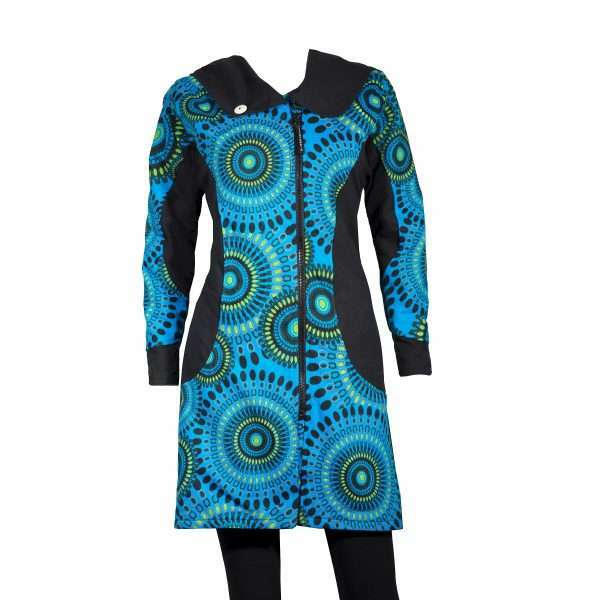 It has colors and patterns that are bold and vibrant. 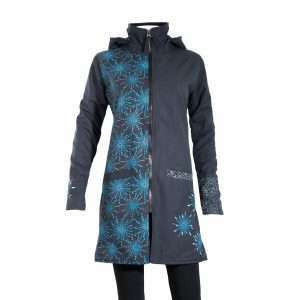 This jacket will keep you warm and stylish at the same time. All our products are handmade. Therefore there can be a slight difference in the prints. This makes every jacket even more unique!